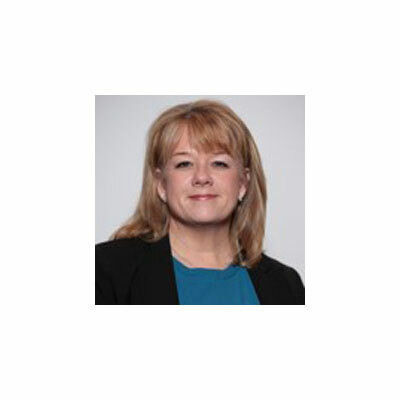 Tami Booth is the vice president of Global Alliances Presales and is responsible for the Alliances technical pre-sales and architect teams, along with the strategic ISV partnership team. Prior to leading these teams, Booth was responsible for global customer support, the global accounts program, global pre-sales and the global pursuit team - all for the CPSD division of Dell EMC. In her most recent role as vice president of customer support, she ran portfolio management, customer care, and three centers of excellence, along with the integration of VCE services into EMC. Additionally, she was responsible for building and growing the Global Presales organization for VCE to 400+ SEs including a back office/off shore support desk. Prior to EMC/VCE, Booth spent eight years as CTO with EDS leading their storage services line that included sales support, delivery, and EDS's Best Shore initiative. Booth is very involved with diversity inside and outside of Dell EMC. She is currently the Vice President of the Global Alliances Women in Action and both mentors and participates in Leadership Women's Texas division. Being the leader of Global Presales for Alliances has put Booth in the position to ensure partners' success within Dell EMC's channel business. She does this by continually educating and proving the incremental value of our partners to the rest of the Dell EMC sales organization. This includes, but is not limited to, presenting to the presales leadership on a quarterly basis. She supports the leader women in action efforts for Alliances and Global Presales overall, showcasing the value of our partners' female leadership. Booth also serves as executive sponsor to several of Dell EMC's largest partners in Alliances. Goals over the next year include continuing to educate the value of partners to our end customers as they move off-premise. This will allow our end customers to continue to enjoy the value and reliability of Dell Technologies as part of their overall IT strategy while using trusted partners to deliver the much-needed services our end customers need to succeed in this ever-changing market. In the last year, Booth was appointed as vice president for Global Alliances Women in Action. She was also selected as the executive sponsor to Dell EMC's Presales Women in Action group and was named MVP by Wild Heart Ranch Wildlife Rescue. Condoleezza Rice - she demonstrates how to overcome perceived obstacles and forge an amazing career in service to our nation. Never using race or gender as a reason for her past failures or successes, she has class, poise and grace and I believe many people can learn from her example. It is one thing I strive for every day. Be proud, go to school, hold your head high and continue to be the strong person your mother taught you to be! Operations - it has always been a challenge for me as I've been fortunate enough to have worked with many amazing operations people who helped with all the things I've needed. Their outlook on the business is a craft which I strive to master. I feel it makes leaders more well-rounded and I always look to my operations teams to help me make challenging decisions. "The 4-Hour Workweek" - while some concepts are a bit out there, there were a number of great reminders on how to spend every business day. It had some great recommendations such as offloading simplistic tasks so you can focus on the things that make you and your business successful.